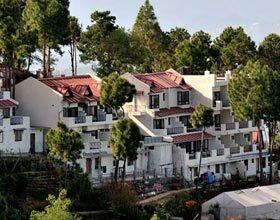 Address: Mahatma Gandhi Road, Mall Road, Ranikhet, Uttarakhand 263645 India. 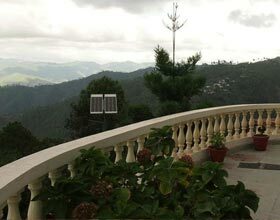 West View Ranikhet has 18 guestrooms at feature complimentary bottled water and complimentary newspapers. All accommodations have balconies. Toilets feature complimentary toiletries. In addition to desks, guestrooms offer direct-dial phones. Premium satellite television is provided. Also included are windows that open and welcome amenities. West View features a coffee shop/café. Room service is available. The hotel serves a complimentary breakfast. Guest parking is complimentary. Additional property amenities include a concierge desk, laundry facilities, and a garden. Tour/ticket assistance and secretarial services are available. 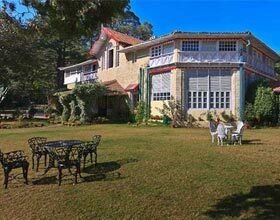 West View is located in Ranikhet.